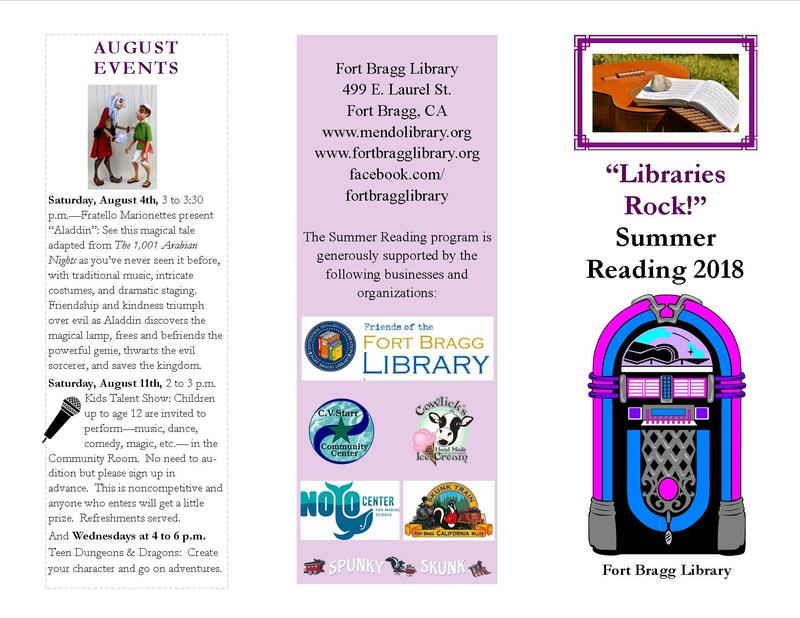 This year, Fort Bragg Library is participating in the LIBRARIES ROCK! Summer Reading 2018 program from June 9th through August 11th. Those participating will be required to sign-up so reading can be tracked. Sign-ups begin at our Summer Reading Kick-Off on June 9th. Once you’ve signed-up, either online or in person at the library, you’ll receive a log to keep track of your reading. For Kids and Teens, there will be incentive prizes along the way. For adults, once you’ve completed your log, turn it in to the library for a prize. Continued reading for adults and teens after their log is completed will earn spins on our spinner for an end of summer raffle prize. Full details for all summer reading activities and programs will be available at the library. 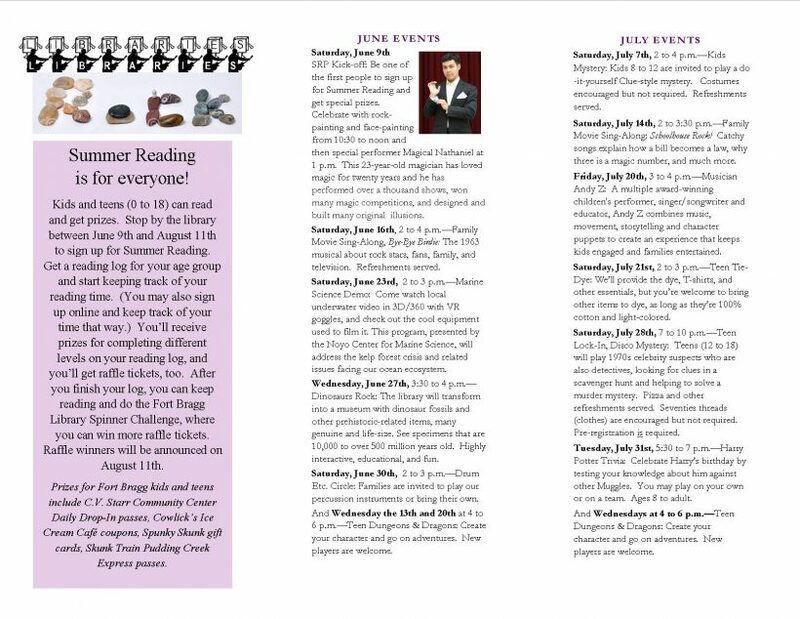 On June 9th, Summer Reading kicks off with a day of fun at the library beginning with Rock and Face painting from 10:30-12 followed by a magic show with Magical Nathaniel @ 1 pm. Sign-ups will begin that day at the kick-off and will continue throughout the summer. Details for Summer Reading are still in the works so check back often to see what’s planned. You can also visit these links for the age appropriate category you’re interested in. We’ll be updating each page as plans click into place. So get to reading and have fun!